With the rapid development of integrated circuit technology, liquid flow sensors have been widely used, and the wide application of microcomputers has further improved the ability of flow measurement. For example, laser Doppler flowmeters can handle more complicated applications after using microcomputers and signal. The flow measurement unit of the liquid flow sensor is an industrial automation instrument used to measure the flow of liquid, gas or steam in a pipe or open channel, also known as a flow meter. 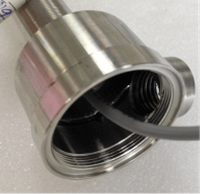 The flow rate of the liquid underwater ranging transducer refers to the amount of fluid flowing through the effective section of the pipeline per unit time. The volume of the fluid is expressed by volume, which is called volume flow in the meters/hour, liter/hour, etc. Mass flow in tons/hour, kilograms/hour, etc. The history of flow measurement of liquid flow sensors, as early as 1738, the Swiss Daniel First Bernoulli based on the Bernoulli equation is using the differential pressure method to measure water flow; later Italian venturi research with venturi measurement flows, and published the results in 1791; in 1886 American used venturi tubes to make a practical device for measuring water flow. In the early to mid-20th century, the original measurement principle gradually get matured, and people began to explore new measurement principles. Since 1910, the United States has begun to develop tank-type liquid underwater ultrasonic flowmeter transducer that measure water flow in open channels. In 1922, Pascher reformed the original Chuuri sink into a Paschel sink. From 1911 to 1912, the American proposed a new theory of Kamen vortex street; in the 1930s, there was another method to explore the flow rate of liquid and gas using sound waves, but it did not make much progress until the Second World War. It was not until 1955 that the Maxon liquid flow sensor using the acoustic cycle method was used to measure the flow of aviation fuel. In 1945, Colin successfully measure the flow of blood with an alternating magnetic field. The measurement of the high temperature flowmeter transducer is actually the measurement of the cumulative flow. It is a flow signaling device with a wide variety of features, structural detection, high measurement accuracy and long service life. The flow meter of the liquid flow sensor measures the flow through the pipe over a period of time. It is expressed as the quotient of the total amount of flow over a short period of time divided by the time. In fact, the flow meter is usually also accumulated. The flow device is used as a total meter, and the meter is also equipped with a flow signaling device. Therefore, it is of no practical significance to divide the flow meter and the total meter in a strict sense. 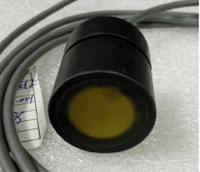 Liquid flow sensors are classified according to the working principle. 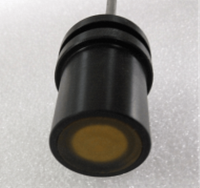 According to the measurement principle of piezo ceramic disc crystal, there are mechanical principles, thermal principles, acoustic principles, electrical principles, optical principles, and atomic physics principles. According to the most popular and widely classified classification, it can be divided into them,it is volumetric flowmeter, differential pressure flowmeter, float flowmeter, turbine flowmeter, electromagnetic liquid flow sensor, vortex flowmeter in fluid oscillation flowmeter, Mass flow meters and plug-in flow meters, probe flow meters, we will use this classification method to explain the principle, characteristics, its application of the various flow meters and development at home and abroad. 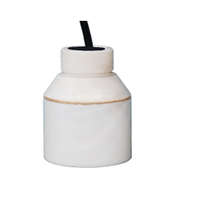 The liquid flow sensor is classified according to the measurement object. There are many types of flow measurement methods and instruments, and there are many classification methods of customzied piezoelectric ceramic. Up to now, there are as many as 60 types of flow meters available for industrial use. The reason for so many varieties is that no flow meter has been found for any fluid, any range, any flow conditions, and any conditions of use. These more than 60 flow meters, each with its specific applicability, also have its limitations. According to the measurement object, there are two types of closed pipelines and open channels; according to the measurement purpose, it can be divided into total measurement and flow measurement. The meters are called the total meter and the flow meter.